An encounter that changes everything. 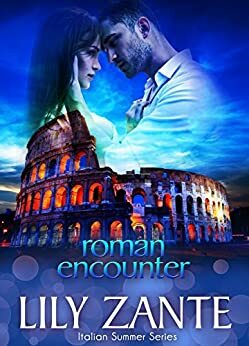 When the pressure around her piles up, something's got to give and a week long training course in Rome provides the perfect escape. Christian Russo doesn't care about anyone but himself. Over-confident and self-serving, he's only interested in doing what's best for him. And right now, working for a training company in Rome isn't it. Gina is unhappy with her life. Feels she has to go to a different town and get a fresh start. Lily has written a good story about how life challenges can make you go in different directions then you planed. Gina meets Christian and they both discover things about each other. I have read just about all of Lily's books and love her writing style. Her characters are well developed and the stories endearing as well as daring! Highly recommend this book and others! You will become a fan. I have enjoyed all the stories and characters in this series. This story was interesting and enjoyable. I like the way Lily Dante makes the characters come alive and the stories move along at a good pace. 5.0 out of 5 starsRoman Encounter of the best kind! I really enjoy the intensity of your characters and the complexities involved in the relationships. Keep up the great writing. Lily has done it again. Gina and Christian are so different but similar when it counts. Worth reading.